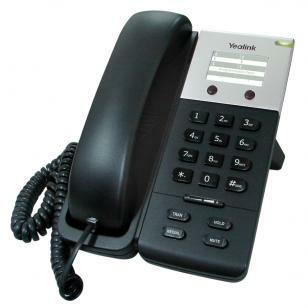 This guide covers manual configuration of a Yealink T18PN phone for use with Gradwell services. Please note that if you have purchased your phone from Gradwell you have the option to have an extension setup on the phone when it is despatched to you - all you need to do is connect the phone. If you wish to configure the device manually, please read the rest of this article. Switch the power on (if required), and leave the phone to initialise for a minute or two. If you need to manually assign an IP address, lift the headset and dial **80#. After hearing the prompt Please enter the value after beeping, input the IP address (For example:192.168.1.56#) You will hear the prompt Please hang up and wait for rebooting or continue setting after the tone to indicate that the configuration is successful. If the IP Address is invalid or you didn't include the end hash, you will hear Invalid setting, please re-enter after the tone". To find the IP address of the phone, dial **90# and listen as it is read out. Note it down as you will need this to access the web interface of the device. You will then see the Yealink configuration screen, with a number of tabs to click on and the phones current status.